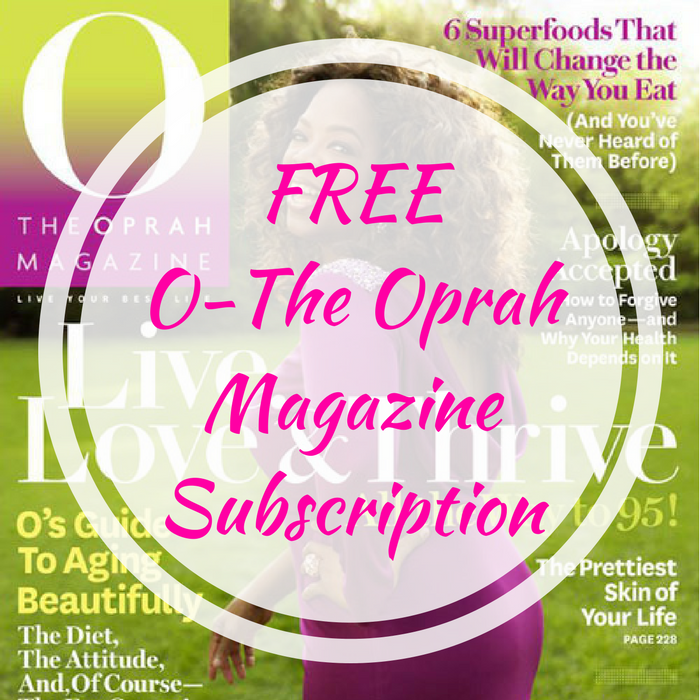 FREE O-The Oprah Magazine Subscription! You are here: Home / FREEbies / FREE O-The Oprah Magazine Subscription! Here’s another great FREEbie for you! Get O-The Oprah Magazine Subscription for :fr:! All you need to do is just simply fill out this short form – no credit card information required. This FREEbie won’t last long so don’t miss it!